Delivering Real-Time Data through an Integrated & Collaborative Framework. Sensorlog are one of the leading providers of IOT solutions for real-time data capture from remote assets. We were delighted to collaborate with Sensorlog to provide a unique and consistent brand within this emerging industry. Define and create a brand that set Sensorlog apart from its competitors within this new technology ecosystem. Illustrate clearly and comprehensively the service value that Sensorlog would provide to its customers. Create multi-format marketing material to aid in the sale & promotion of Sensorlogs unique service proposition. The Sensorlog website was designed to be clear and to the point. The site adapts to all devices but is primarily built for mobile first viewing. The site utilises a one page setup where all information can be easily navigated. Video animation and illustrations were used to explain Sensorlogs offerings with clear and purposeful call to actions. 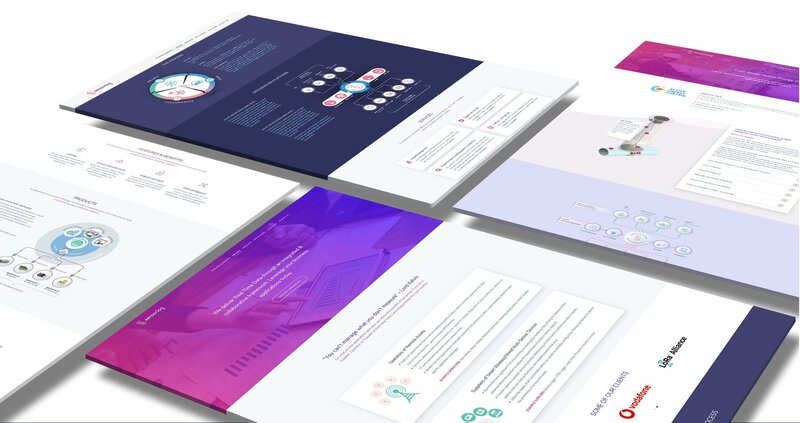 Once we clearly understood all aspects of what Sensorlog were providing to its customers, we were excited to strip back the technological jargon and reveal their USP in a clear and concise way. Smart use of illustrations and infographics played an important role in explaining Sensorlogs fundamental message and service proposition. 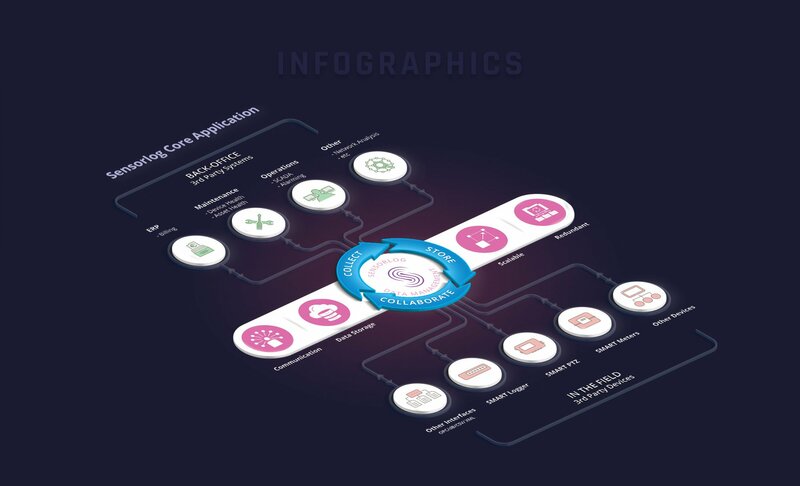 All infographics were designed in vector format to ensure seamless scalability across multiple digital mediums. A successful brand identity is more strategy than art. Once we had boiled down Sensorlog’s core message, we set about playing with a series of images and icons that could be merged into one clear vision. Multiple color palettes, combinations and font types were explored and tested. Happy with the final logo brand design, a style guide was created to ensure standards and consistency would be kept in place for all future marketing endeavors.